Like many other holidays with which I have no personal affiliation, I love to celebrate Cinco de Mayo. And by celebrate, I mean planning elaborate, home-made ethnic meals and then getting too tired to make them, requiring me to run out and pick up some take out that loosely relates to the holiday. And because it happens so regularly, it is pretty much a set-in-stone tradition. This year, we’re mixing it up from the usual six-pack of tacos and picking up a Taco Grande Pizza from Papa Murphy’s. We tried it, and dude, it tastes exactly like a taco. Martin preferred it as a cold leftover for breakfast, and then again later as a cold leftover for lunch and dinner. The guy liked it cold, what can I say. Whether you are picking up take out or whipping up a batch of homemade tortillas on which to serve the pulled pork and pico you made this afternoon (please invite me over), I would highly recommend making a batch of these. Margaritas always sound like such a good idea until you’ve consumed two, have a stomach ache, and realize you’ve just consumed about 1,500 calories. And that doesn’t even count the chips and guac that you may or may not have eaten while knocking back the margaritas. This recipe cuts WAY back on the calories, is light and refreshing, and does not require pulling out the blender (although you certainly could). 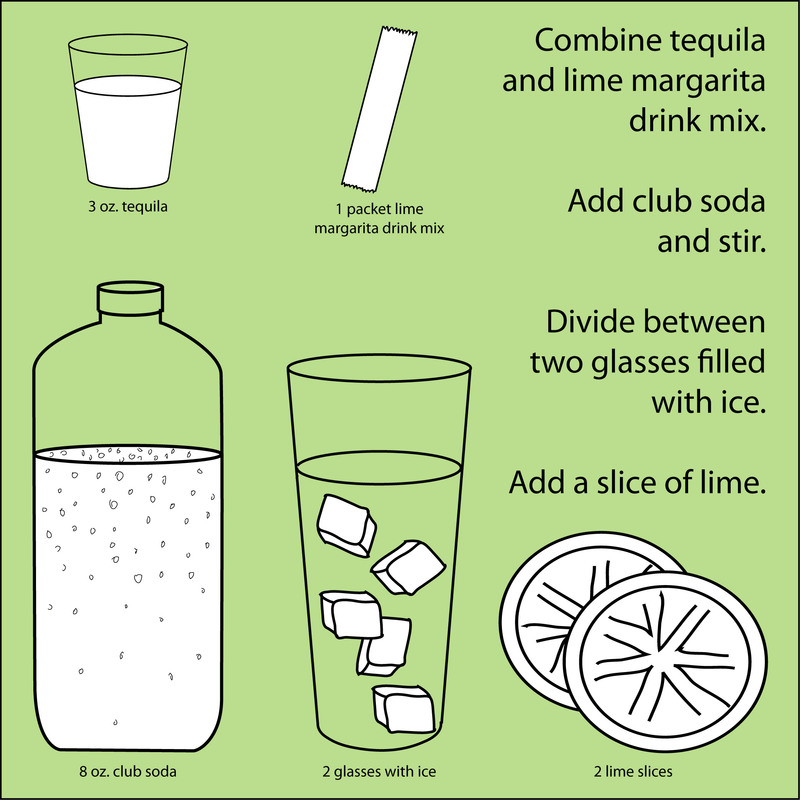 Combine tequila and lime margarita drink mix. Add club soda and stir. Divide between two glasses filled with ice. 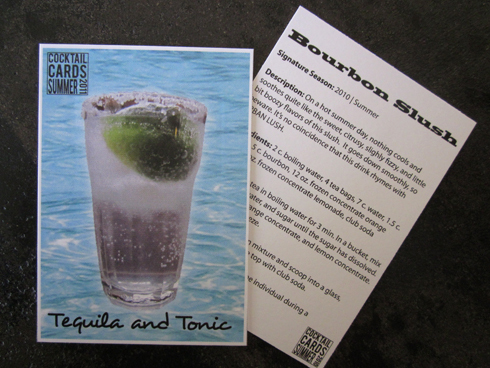 Add a slice of lime to each, and serve. – There might be many brands of lime margarita drink mix, I picked mine up at Target.